Released in a slightly textured ''flipback'' cover. 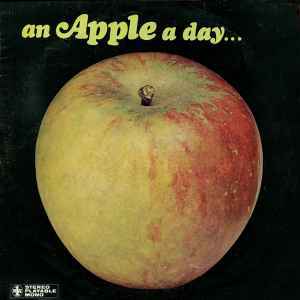 Includes a booklet titled ''English Apples & Pears''. The back cover gives an incorrect running order, the label shows it correctly. No cover ,no booklet ! Vinyl in top ,a whispy hairy line and plays perfect ! Near as new. Is the booklet shown in images, supposed to be black and white?